A strong medallion stencil design that is equally beautiful using plasters, joint compound for raised beauty, or with paints. 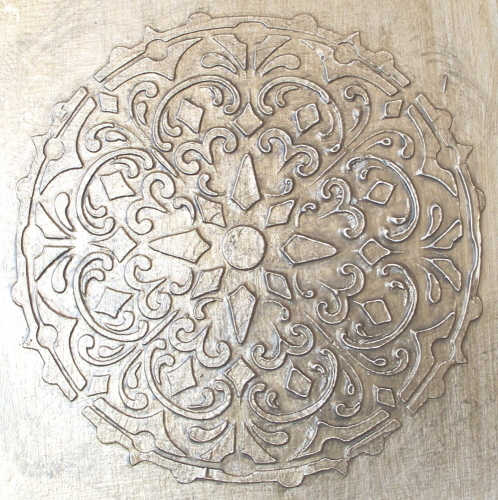 When I think of all of the possible applications for medallion stencils, I get all excited! They’re beautiful as random wallpaper designs, exquisite on the front or sides of large furniture pieces, fantastic as painted medallions on table tops and breathtaking as ceiling designs.